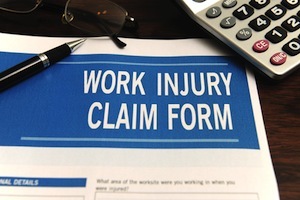 The Boston workers’ compensation lawyers at the Law Offices of Jeffrey S. Glassman know nearly all employers and employees in the Commonwealth are covered in cases of work-related injury. The intent of workers’ compensation is to provide a means for injured workers and/or their families to collect weekly wage loss benefits for total and partial disability, medical costs, vocational re-retraining expenses, death benefits, funeral costs and other costs associated with being injured on the job. Our Massachusetts workers’ compensation attorneys have secured workers’ compensation benefits for clients in the greater Boston area for decades. In fact, our dedication and commitment to fighting on behalf of injured workers is one of the founding principles of our firm. Boston workers who are injured or become ill as a result of an accident or incident that occurs within the course and scope of employment are eligible for benefits. The Department of Industrial Accidents is the agency responsible for administering workers’ compensation law in Massachusetts. This is the agency that will hear disputes in the event your workers’ compensation claim is denied. It is only if the process is appealed beyond the reviewing board that the case will be forwarded to the state court system. The agency notes that while half of all claims are not disputed by an insurer or an employer, it is “strongly advised” for workers to seek legal counsel if claims are disputed, due to the complexity of workers’ compensation law. The law requires the insurance company to pay the attorney’s fee if you win. Type of benefits to which a worker is entitled will depend heavily on the extent of injuries. Partial Disability Benefits. These benefits are available to workers who have been injured and, as a result, are limited in the amount or type of work they can perform. The law allows workers to collect 60 percent of wages he or she would have earned but for injury, or 60 percent of what he or she lost as a result of the accident. These benefits are paid weekly. Disfigurement and/or Loss of Function. These benefits are paid when a worker is disfigured or loses function of a body part. This could mean anything from a permanent scar on one’s face or neck to a person who has lost function of an arm, leg, eye or other body parts. Total Disability Benefits. This type of benefit is available to workers who cannot perform work as a result of their work injury. Workers who receive total disability benefits may retain 60 percent of their average weekly pay (with a max amount capped by state law). That weekly amount is determined by averaging what the worker earned in the 52 weeks prior to the injury. Workers can receive total disability benefits for up to three years. Total and Permanent Disability Benefits. State law allows an employee unable to work for an extended time due to a work injury to receive total and permanent disability benefits. This will allow a worker to receive up to 60 percent of weekly pay, as well as an offset for the increase in living expenses due to injury. These type of benefits may be paid throughout the remainder of the worker’s life. Death Benefits. These are benefits available to surviving spouse and/or children of a worker who died as a result of a work-related injury or illness. Here again, the recovery amount is 60 percent of the average weekly wage. There may be other benefits available under this provision as well (i.e., funeral expenses, medical costs, etc.) depending on the circumstances. Employees should know workers’ compensation may not cover all expenses relating to injury or illness. For example, workers’ compensation will not cover pain and suffering or loss of consortium. Depending on the circumstance of each case – and particularly in those instances where a worker has suffered a severe or catastrophic injury or death – third-party lawsuits should be explored. Under Massachusetts workers’ compensation law’s exclusive remedy provision, employees covered under workers’ compensation can’t sue their employer for additional recovery. However, if there are other responsible parties aside from the employer, they may be held accountable in a civil lawsuit. For example, if a worker is injured due to a machine malfunction, the manufacturer of that machine may be pursued in third-party litigation. Similarly, if a worker is injured in an auto accident, the at-fault driver/insurer may be sued. It’s important to note that just because workers are covered for work-related accidents, illnesses and injuries does not mean securing compensation will be a simple, straightforward process. That’s why it’s so critical to hire a workers’ compensation law firm in Massachusetts with proven experience. Reports released from the Occupational Safety and Health Administration and journalism non-profit ProPublica in 2015 revealed that since 2003, lawmakers in 33 states have passed workers’ compensation laws that reduce benefits or make it tougher for persons with certain injuries and illnesses to qualify. Massachusetts, however, has actually improved access to benefits by requiring housekeepers, nannies and other domestic workers made eligible. Meanwhile, the average premium cost to an employer for workers’ compensation insurance has declined significantly – from $3.67 per $100 worker’s wages in 1988 down to $1.17 in 2014 – a drop of $2.50. This debunks ongoing myths from big business lobbyists aiming to slash benefits that company costs are out-of-control. The workers’ compensation attorneys at the Boston based Law Offices of Jeffrey S. Glassman will thoroughly review your case and aggressively fight for the compensation you deserve.